I want floppy stretch summer knits! (And for myself! WTF, I thought I was 'Sewing for Others' now). Maybe I'll give myself a little reward sewing for Sew Weekly for myself for so long, and then get stuck into Husbie's shirt (Negroni is waiting). 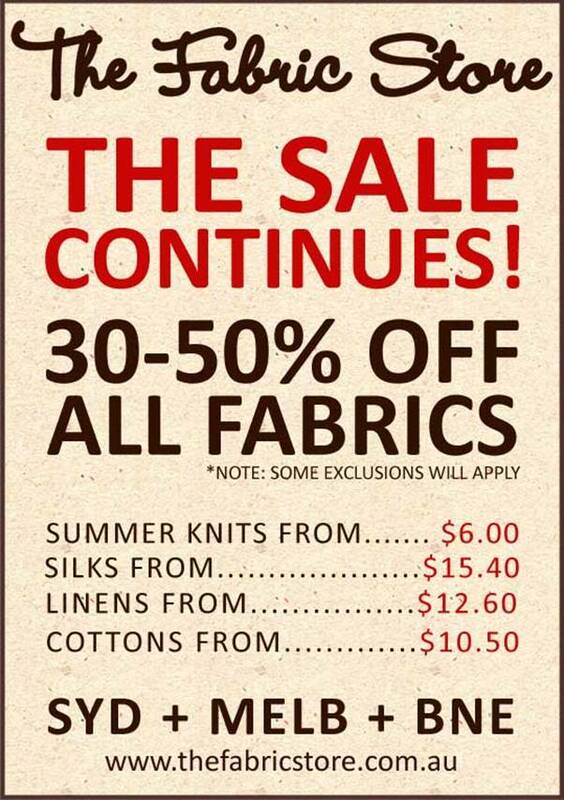 ooh :) Thanks for that - I'll have to hit up the Fabric Store! Thanks! I think! I am painting (home dec) and have tried not to buy any fabric as I really do have enough .. but it doesn't hurt to have a look! Hope you pick up some glorious pieces...! I'm so happy The Fabric Store had opened in Brisbane. A bit scared to go thought because I know I will add too much fabric to my massive stash.